Last week was full of mishaps. As in, just a terrible week. On Wednesday I was at work when I learned that one of my teachers had fallen, so I rushed down the hall to check on her. On my way, I slipped in a stealth water spill and fell down too. Irony? The teacher was fine, but I couldn’t walk so well. I had to get to the urgent care clinic because my doctor wouldn’t see me without some kind of crazy workman’s comp claim number that I could’ve easily given him later (can I rant about healthcare sometime soon?) for an x-ray. Luckily, nothing was broken, but I’m very swollen and bruised. To compound that (yes, I’m complaining), I had a 22-mile commute the next day to a training class. I don’t like commuting. More complaining. That evening was Back to School Night, which means I had to be on my A-game to meet with parents. I put a pair of sneakers on over my bandaged foot (not my typical Back to School Night uniform of cute dress and heels) and went to work from my training class. When I opened my mouth, I realized that the fun continued. My voice was going. See, I’ve had a cold for about a week, but it’s just been hovering. Do you ever have a hovering cold? It’s kind of polite in nature. It doesn’t intrude too much into your life except in the early morning or late at night, but then it really intrudes. No warning, and BAM! Suddenly, you’re going mute in front of parents. By the next day, I had to face down my students with no voice at all. I spent the day croaking and rasping at them and feeling completely done in. Thank heaven the next day was Saturday. It was time to sit down and shut up. I was never gladder to do both. One day into the weekend, and things are looking up. My foot is very bruised and still somewhat swollen, but it’s getting better. My voice is a light rasp now as opposed to completely silent, so yay. And I can bake even without a foot or a voice, so that’s the best news of all. This cake is lovely. 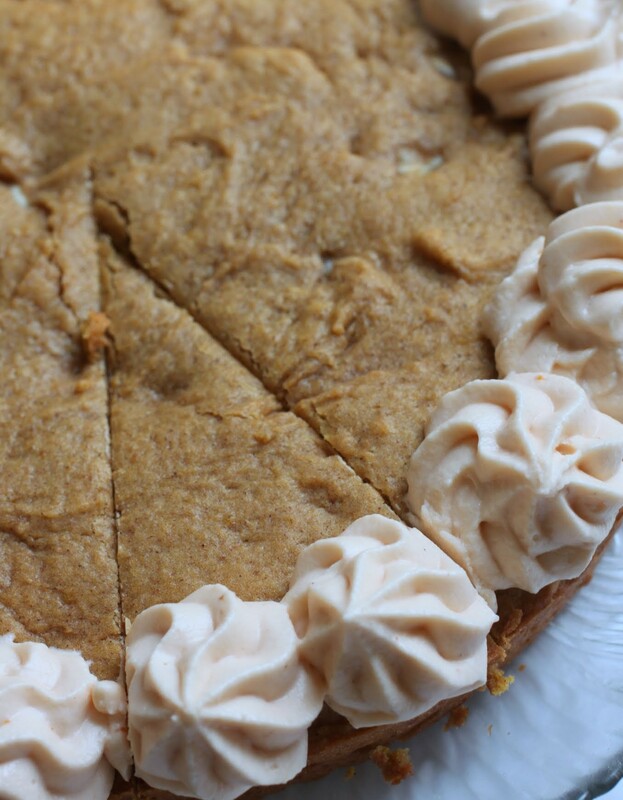 I don’t usually pair butter with pumpkin, but special occasions call for a fancier cake. What occasion, you might ask? Feeling better, y’all! 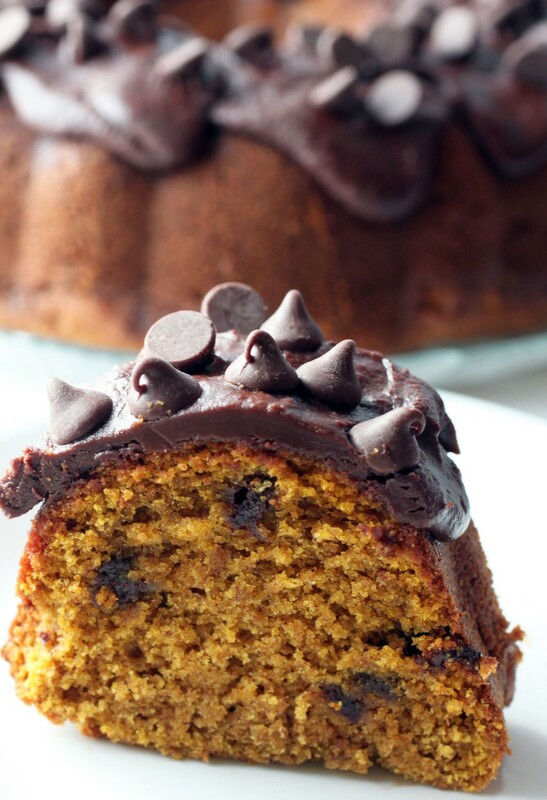 Because pumpkin and chocolate chip is the best combo ever, I had to put them into a decadent bundt with the best chocolate glaze in existence. This is my favorite glaze recipe bar none. It’s super easy, and it’s thicker than most glazes. It’s impossible not to love! Last week was full of mishaps, but this week will be better and full of cake. It’s not how many times we fall, but how many times we determinedly get back up again. That’s what really matters! Preheat the oven to 350. Coat a bundt pan generously with cooking spray and sprinkle some oat flour lightly over the pan. Set aside. In a small bowl, combine the oat flour, baking powder, baking soda, salt and spices. Set aside. Cream the butter and both sugars in the bowl of a stand mixer. Add the eggs one at a time, beating each time until smooth. Add the vanilla. Continue to mix the ingredients as you add in the pumpkin. The batter will not be smooth, but make sure it's well mixed. Fold in the chocolate chips. Pour the batter (it will be thick) into the prepared pan and bake for 50-60 minutes until a toothpick inserted into the center comes out clean. Cool completely. When you're ready, make the glaze. Combine all the ingredients in a microwave-safe bowl and heat in 30-second intervals, stirring after each interval, until smooth and glossy. Spoon the glaze over the cake. If desired, sprinkle additional chocolate chips on top. Let the glaze set. Cut into slices. Store covered. I may have mentioned this before, but I think I’m doing this whole blog thing wrong. It’s been a year and a half, and I think I missed some kind of initiation or tutorial. Do any of you have that dream where you’re in college and you somehow missed an entire semester’s worth of classes? In my case, it’s always a math class, and I head to the final with no clue how to do anything. It’s the worst dream ever. 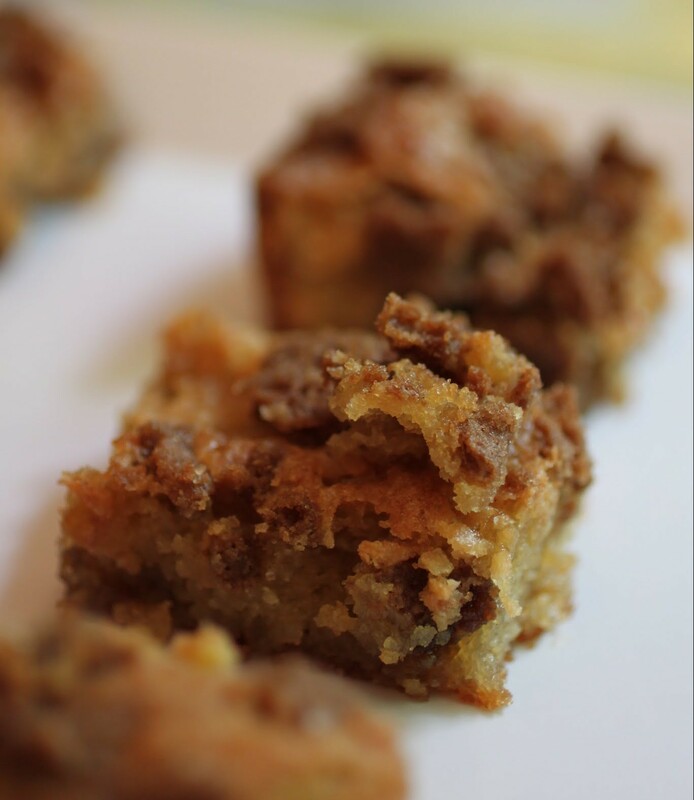 When I started JAB, I figured I would just post dessert recipes that took sugar highs to a new extreme. I hoped that with time, my little blog would grow. To an extent, that’s totally happened. Every recipe I post is 100% tried, tested, and devoured by yours truly with a crazy amount of passion and enthusiasm. If you’re seeing it on the blog, that means I love it. Oh Mir!! You deserve every single bite of this gorgeous cake all for you! I hope this week is a little less – eventful, shall we say? Hang in there my friend. Me too! Hanging in there, Kate. Thanks for being my cheering section! 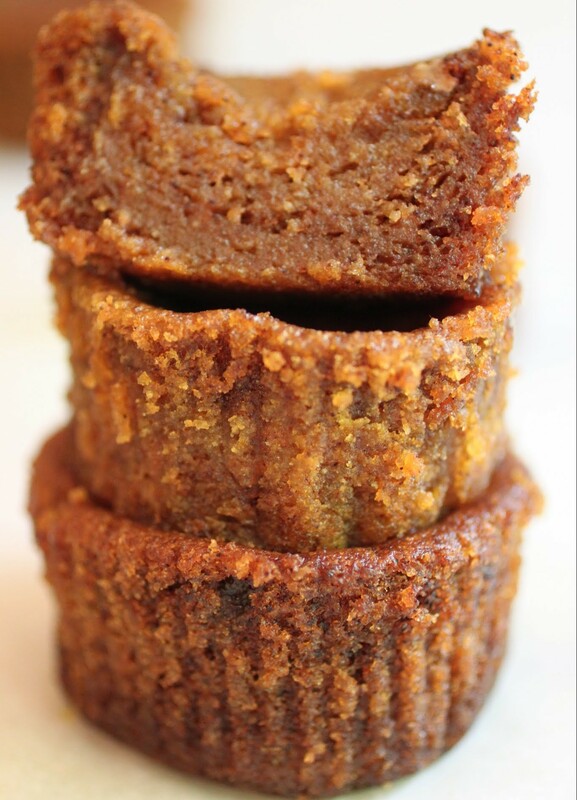 I’m not the biggest fan of pumpkin, and I normally like my desert with gluten, but this is really amazing. I will definitely have to try baking before I go to bed…I’ve done that before, but I’ll have to notice if the spices work! Looks delicious, Mir. 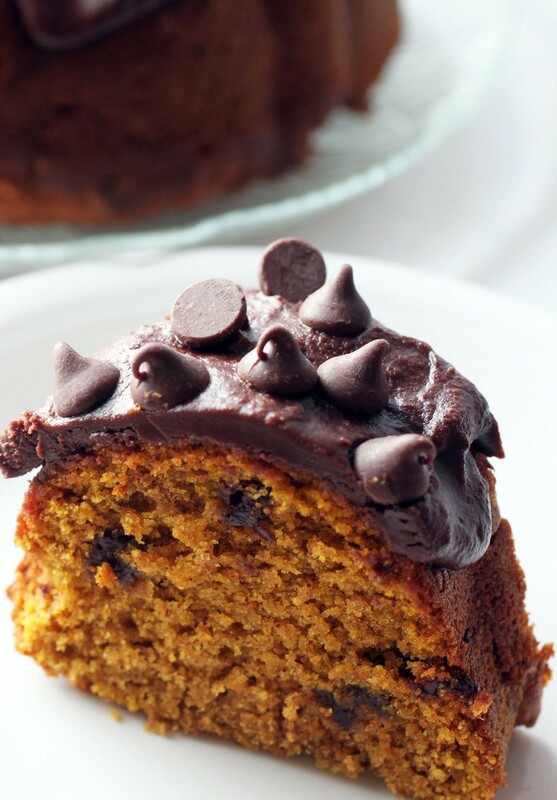 You can’t go wrong with chocolate an pumpkin! The spices are so soothing, Gayle! Mir, oh my goodness!!! You had a rough week but I’m so glad things are looking up and your foot is feeling better and you’re getting your voice back. . as a teacher, I’m sure your voice is crucial! 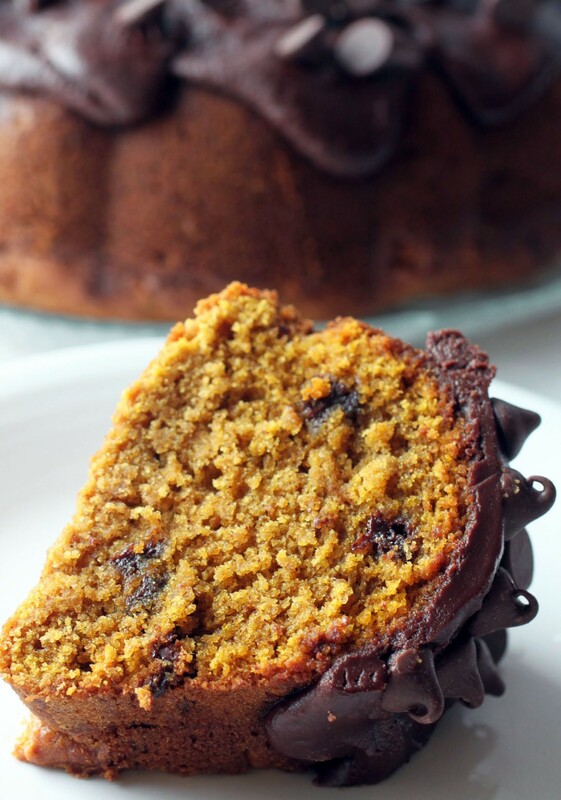 This pumpkin chocolate chip bundt cake is everything!!! and love the idea of baking at night so you can fall asleep smelling all the wonderful things .. the sign of a true baker! 🙂 have a great week!!! and wear those sneakers! Oh wow, you had one hellova week, Mir! I say vent away! I mean if you can’t complain here, where the heck can you?? Sorry you slipped and fell, but I’m glad your foot is better! And I’m glad your voice is coming back… I am thinking having a voice is pretty imperative for teaching. 😉 Anyways, You know I don’t like pumpkin, but daaaang you are making it look gooooood!! This bundt cake is so pretty! I’ve tried baking at night, but the smells just make me hungry! Lol. I’m thinking if I made this at night I’d never sleep because I imagine this cake smell FAB! Cheers, girlfriend! This bundt cake looks delicious- pumpkin and chocolate pair so well together and I love how the pumpkin flavors get more intense each day after baking 🙂 Also night baking sounds incredible! It’s so true. Pumpkin only gets better with age! That sounds like quite the week! Hope this next one is better for you! Probably will though if this cake is involved. 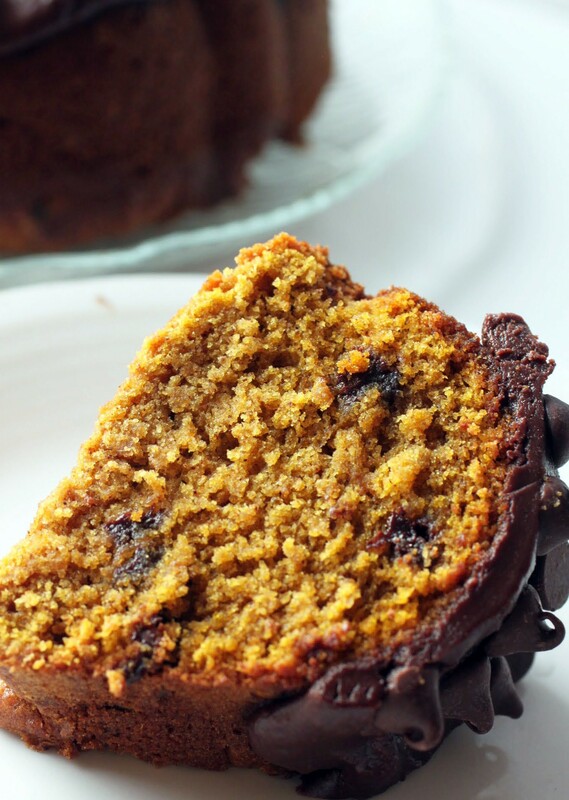 Pumpkin and chocolate IS the best combo ever! Pumpkin and chocolate is where it’s at, Stacey! This cake would surely make all my troubles go away! Sorry for your week of mishaps, Mir…Murphy’s Law at its best!! Oh my gosh what a horrible week. 🙁 You deserved to eat this entire cake!